Transformative skin care products are always on our radar, especially when we stumble on those that literally transform before our eyes. We’re talking innovators that instantly change textures, going from ordinary mud masks and gel cleansers to luxurious oils that melt on the skin. If we’ve learned anything from last year’s coconut oil craze, it’s that oils have a long list of benefits in the beauty world, whether it be removing stubborn eye makeup, diminishing signs of aging, or replenishing a dry complexion with some much-needed moisture (thank you, polar vortex). Shop some of our favorite shape shifters below. 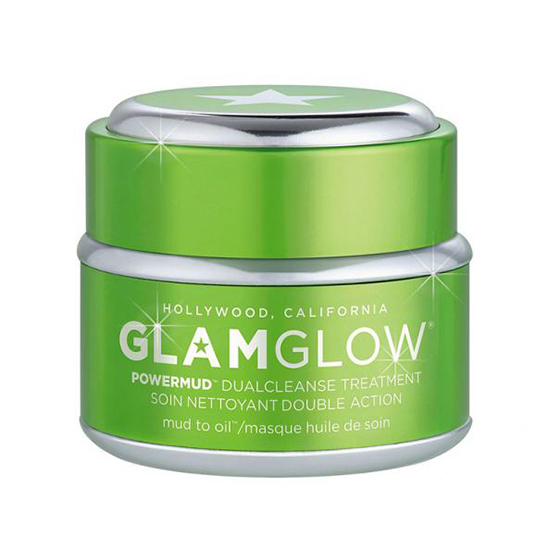 Glamglow’s Supermud clearing treatment was named Sephora’s best-selling skin care product in 2014, so of course we had high hopes when the brand welcomed its next innovative formula to the family: Powermud Dualcleanse Treatment ($69; sephora.com). The deep cleansing mask, designed to use once or twice a week, will instantly free your complexion from all of the dirt, oil, and makeup your daily cleanser couldn’t quite reach. All you have to do is apply the way you would any ordinary mud mask and let dry for 10 minutes. As you add water and rub in circular motions to remove, it goes from mud to oil, leaving your skin feeling fresh and toned. Plus, thanks to the prickly pear oil, you’ll smell delicious. Lazy girls, rejoice! Makeup removal before bedtime can be a long and tedious process, but with Bliss’s gel-to-oil cleanser ($28; sephora.com), which acts a cleanser and makeup remover in one, you can finally speed up your nightly ritual. Start by massaging the gel onto your face and neck (no water needed). Within seconds, the formula will turn into oil, whisking away even the most stubborn eye makeup. It’s also packed with essential oils, including olive, orange, lavender, and sage to leave your skin super soft—as if you just left the spa. When first applied, Ole Henriksen’s Pure Truth Melting Cleanser ($38; sephora.com) has a thick, balm-like texture, but once activated by water, it shifts into a milk that moisturizes the skin as it sweeps away impurities. It also contains a nourishing blend of rose hip, and virgin cherry oils to repair your complexion and reduce redness, bringing on a healthier glow as a result. Searching for an anti-aging formula? Algenist’s cream to oil cleanser ($38; sephora.com) has you covered. Along with its star ingredient, alguronic acid, to improve the appearance of sagging and wrinkles, it also boasts microalgae oil for silky smooth skin and hydration that lasts. In other words, goodbye winter dryness.